BACKGROUND: It is well known that bile salts are needed for emulsification of fats. It is then said that this increases the surface area for activity of pancreatic lipase, implying that bile salts make pancreatic lipase more effective. But it is also said that pancreatic lipase do need a colipase to overcome the inhibitory effect from bile salts. QUESTION: So what does bile salts actually do? Do they increase or decrease lipase activity? How does colipase overcome it? MY ATTEMPT: After some research , I found that bile salts above critical micelle concentration have inhibitory effect, but could not still comprehend how does the colipase makes lipase more efficient. Also if greater concentration is inhibitory then why does our body just secrete it in sufficient amounts? Isn't it be more efficient than to make a whole protein(colipase)? 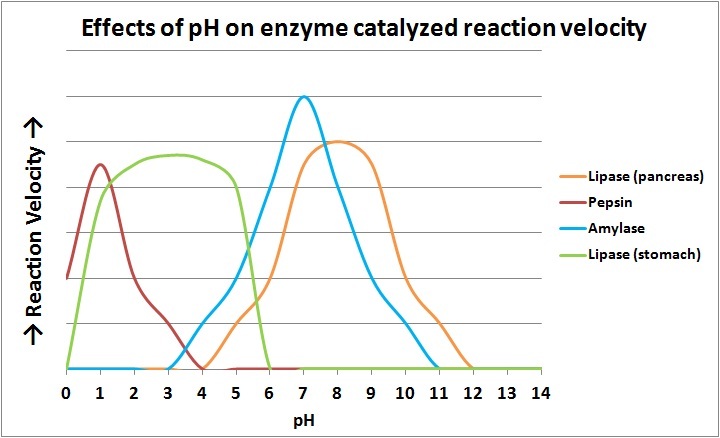 This optimum pH is brought about by bile salts. Bile salts are slightly alkaline, with pH range of about 7-8 (Britannica). This helps lipase in catalysing its reaction. Bile salts also help lipase by increasing the surface area of fat droplets. Bile molecules have a hydrophobic and hydrophilic part. The hydrophobic part is attracted towards fat while the hydrophilic part is attracted towards water. This helps stabilize fat droplets by emulsification i.e. breaking the fat droplet(s) into smaller parts. This also increases the surface area of fat droplets. Now, the matter gets complicated when we talk about concentration. Since bile molecules contain hydrophilic and hydrophobic ends, they tend to form micelles with increasing concentration (just like soap). As long as its concentration is below critical micelle concentration, it will carry on emulsification and increase lipase activity. But when its concentration becomes more than the critical micelle concentration, it will form micelles and not carry on emulsion. This significantly reduces lipase activity by not only decreasing surface area, but also reducing pH to slightly acidic (Erlanson et al, 1973). This is where colipase helps. Colipase binds to the C-terminal, non-catalytic domain of lipase and stabilizes its active conformation and increases the hydrophobicity binding site (Verger et al, 1999). Colipase strongly binds to the ester bond of the triglyceride molecule, by which its hydrolysis by lipase becomes easy (Mansbach, 2011). Thus, colipase helps in overcoming the inhibitory effect or bile salts on lipase. Not the answer you're looking for? Browse other questions tagged human-biology biochemistry physiology enzymes digestion or ask your own question. Why is glycerol kinase absent from adipocytes but present in the liver? Understanding Membrane / Resting Potential from the perspective of ions? Why does olfactory sensation need lateral inhibition?